People turning 50. I don't know. Well, I guess hanging out with them will make me feel young for a while. This was such fun to make. I knew it wouldn't be perfect (which was a shame, as birthday boy is quite the perfectionist) but I did my best. In hindsight I would have done things in a slightly different order, but that there is the beauty of hindsight. Next time (should there be one, which I doubt) I will know better. 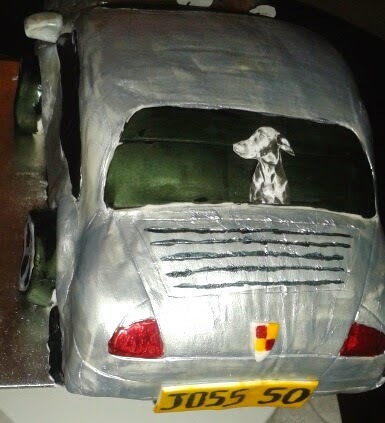 My inspiration was of course, the birthday boy's own car - a Porsche 911 Carrera. Now my knowledge of cars goes no further than knowing the colour, but he's quite a fan and loves his little low sleek motor. It makes me nauseous when I get in it, but each to their own. I found this wonderful tutorial on Flickr by Sucre Coeur, and so based my own cake on this. It went well enough at the carving stage (lemon madeira cake with lemon buttercream). Then for some reason I stopped looking at the pictures and started doing it by eye from memory. Big mistake. I added in big bumpy headlights and made the front far too stumpy. 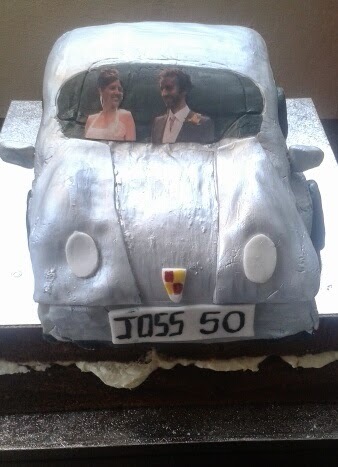 By the time I checked back, after smoothing on the sugarpaste and giving it it's first coat of edible metallic paint, I realised it was more Roary the Racing Car than Porsche. So a bit of chopping and smoothing and I half-righted that. The next incident was when I stuck the sugarpaste wheels on. 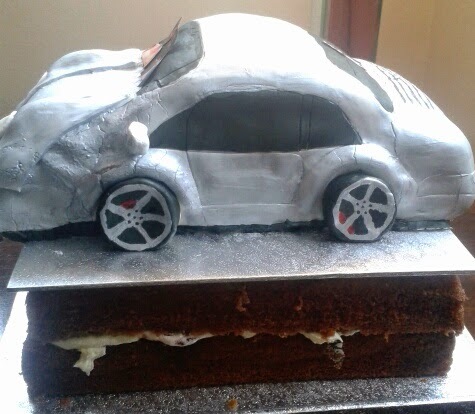 Lifting up the cake to place them under the rims, of course the metallic paint cracked, and gave the car that crumpled, crashed look. Not really what I was going for. Drawing the markings on the white icing with a knife before painting seemed a good idea. But again, I should have kept referring to the pictures. Trying to draw lines after the metallic paint is on gives another form of crumplediness. Still. A lot of fun. Half the fun is actually compensating and improvising when things go awry. 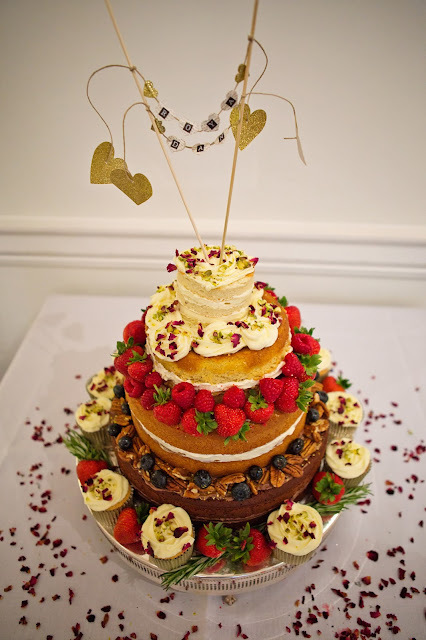 The bottom layer is a simple Victoria sponge. 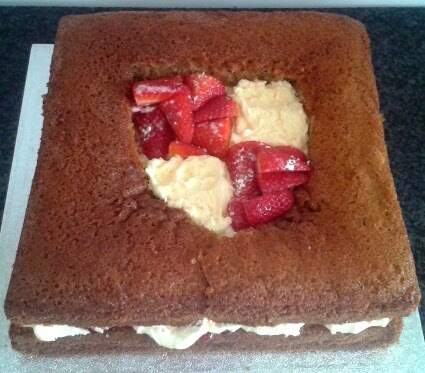 I carved out the centre into a Porsche logo-shaped hole and filled it with strawberries and more lemon buttercream. This was the part that got eaten at the party! The car itself, I believe, the only one in existence, is still in one piece...! Happy Birthday Joss. Old git.